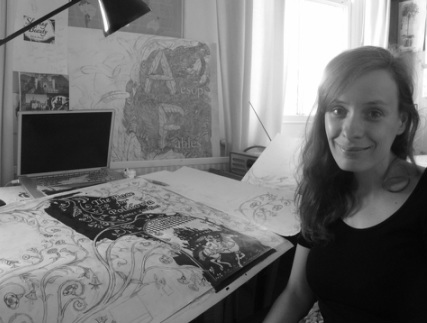 Rachel has worked as a freelance illustrator since graduating from Brighton University with a degree in Illustration. During this time she has produced a variety of published work ranging from educational pieces to children's pop- up books. She has an eye for patterns and is inspired by nature, architecture and an eclectic mix of design influences. She seamlessly combines ink and computer techniques to create unique and dynamic images which inspire the imagination and demand a closer look. Her clients include Tango Books, Starshine Music, Buster Books, Authentic Media, Miles Kelly and Book Guild Publishing.